Charging your Macbook or laptop with a power bank has never been easier! Are you in the possession of a laptop or Macbook and do you find lugging with a wall adapter or searching for a wall socket annoying? Then this laptop powerbank is the ideal solution for you! With this laptop power bank you can keep on charging your laptop or MacBook anywhere, anytime when it suits you. 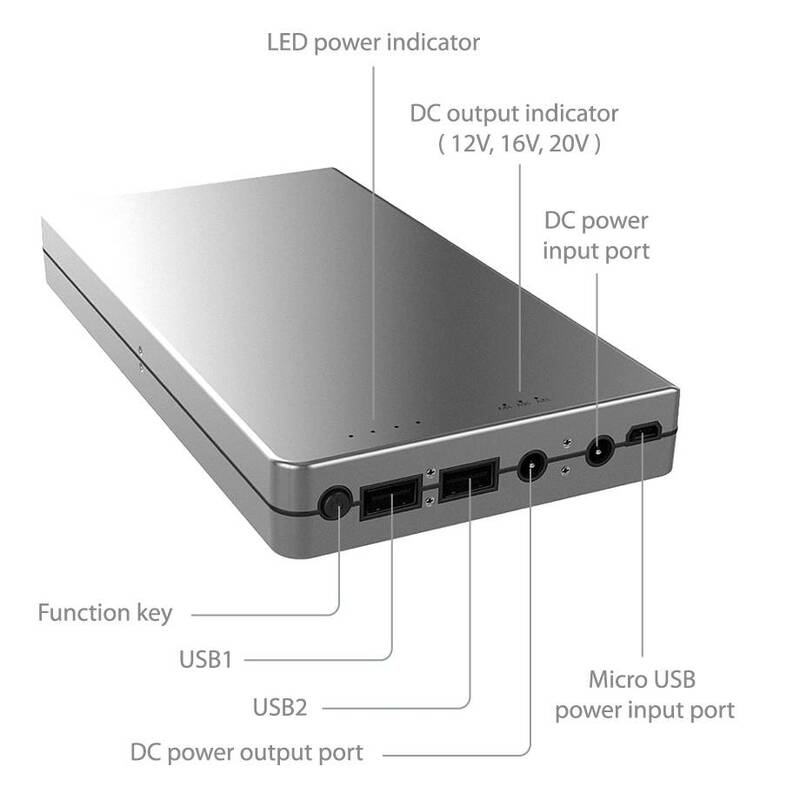 You can connect your laptop or MacBook through the DC output of 12V, 16V or 20V. For the Macbook we have selected a special MagSafe cable. Charge your Macbook or Laptop up to six times with our 45,000 mAh Laptop Power Bank! 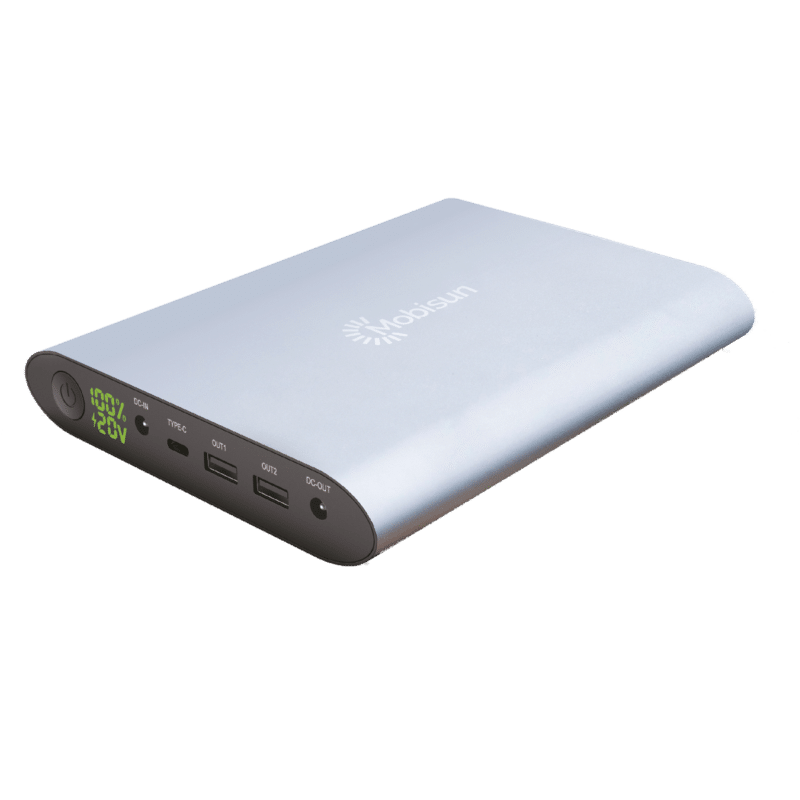 The laptop power banks of Mobisun have much more potential than just charging your laptop or Macbook. You can also use the power bank to charge your smartphone, tablet or camera. 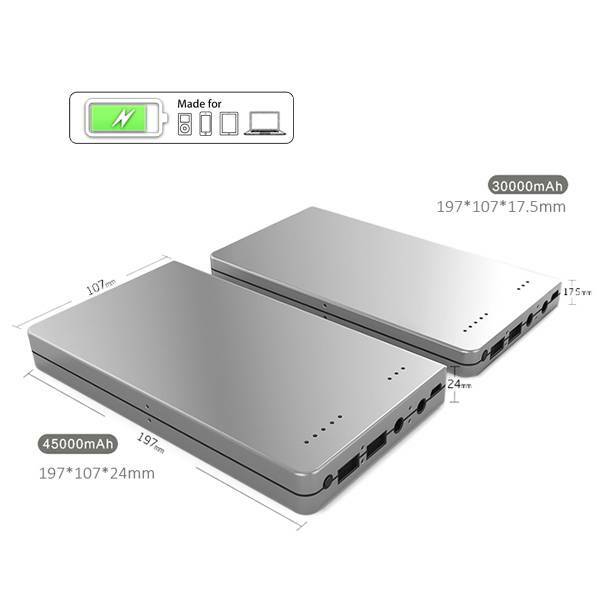 With our 30,000 mAh laptop power bank it is possible to charge your smartphone up to 7 times. With our 45,000 mAh laptop power bank you can charge your smartphone up to 10 times. Do you travel a lot and do you always want to use your MacBook or laptop? Then this portable USB Laptop/Macbook charger is ideal for you. Recharging the power bank can be done easily by means of a adapter or a Micro-USB cable. You can also become completely independent by charging the power bank with the Mobisun portable solar panel for laptops. The lightweight solar panel is easy to carry and delivers more than enough power to charge your laptop power bank. With these powerful laptop power banks you can avoid that your MacBook or laptop stops working during an important meeting or assignment. The Mobisun laptop power banks are new to the market and offer limitless possibilities. With a Mobisun Macbook power bank you can keep using your laptop or MacBook anytime, anywhere in the world!